Colwyn Bay: Accommodation, Attractions, Activities, Going Out, Shopping, Things to Do, Places of Interest, Outdoors, Colwyn Bay Holidays, Colwyn Bay Area Location, North Wales. 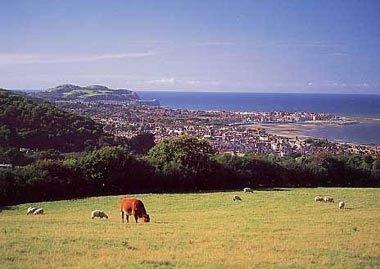 Colwyn Bay, Rhos-on-Sea and Old Colwyn, have plenty to offer whether you are having a short break or longer holiday. A somewhat limited range of accommodation is offered in the area to suite all tastes and budgets, from a new Travelodge to some very well presented small country house type establishments. The long Promenade follows the vast sweep from Old Colwyn to Penrhyn Bay and gives easy access to the wonderful beaches, pier and harbour at Rhos-on-Sea.There are also separate slipways situated along the promenade for fishing, sailing, and jet skiing. Shopping areas, the renowned Welsh Mountain Zoo, several golf courses and plenty of places to walk and climb - plenty to do for everyone. Snowdonia, the Isle of Anglesey, castles and National Trust properties are all close by. The area also boasts a leisure centre at Eirias, gardens, bowling greens, tennis courts, and an athletics stadium. There are some really pleasant green areas in Colwyn Bay, especially in the area around Rydal Penrhos School, which has a very strong tradition locally. Welsh Mountain Zoo Visitor information, with education, conservation and zoo history sections. Located in Colwyn Bay, North Wales. Colwyn Bay Rugby Colwyn Bay Activities. 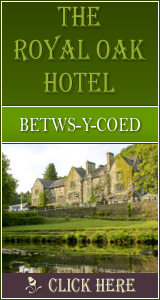 Official Website of Rugby Union Club and North Wales Coasters Rugby League. Ivy House Holiday Apartments in Colwyn Bay, Conwy County, North Wales - Self Catering Holiday Flats.